A Mobile card reader is a gadget that enables the merchant initiate transactions in various methods including chip, swipe, & contactless payment. A mobile app provides standard point-of-sale features like invoicing, sales tax calculations, receipts, and more. The devices are usually free or cheaply priced, and the user only pays a small fee for each transaction. Most mobile card readers are compatible Android and iOS devices. Square Reader, EMS+ and PayPal Here are three mobile card readers in the market. Yes, it’s possible. 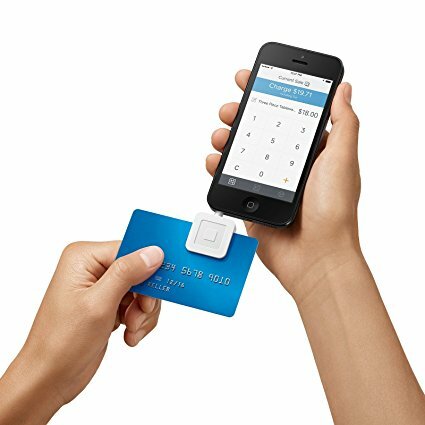 As long as you have an iOS or Android tablet or smartphone or tablet, you can simply plug in a Square Reader (on the headphone jack) and start taking payment almost instantly—no matter where you are. Payments appear in your bank account in as soon as one or two business days. For example, Square has a Deposit Schedule that makes it very easy for the retailer to track and receive the payments. You can give partial refunds. Instead of getting you mixed up in a pool of transactions when trying to pay back a discontented buyer, Square POS allows you to give a quick refund in the app or on your Dashboard— you simpler enter the exact amount you’d like to pay back. And all this is possible without the customer having to take out their card. You can cut down long queues. A shop full of buyers is every business owner’s dream, but it can be difficult meeting the increased demand at your point of sale—and the result is a long line of customers. Apart from overcrowding, long queues could also put off some of your customers. But adding an extra Square Reader to you POS can help speed things up and reduce long lines. It allows you process cash too. With a mobile card reader and your Square Point of Sale, you can record cash as well as other transactions alongside taking credit & debit card payments. This way, you get a complete view of all transactions your company is processing. Author Bio: Payment industry expert Taylor Cole is a passionate merchant account expert who understands the complicated world of accepting credit and debit cards at your business. His understanding of the industry has helped thousands of business owners save more money and grow.